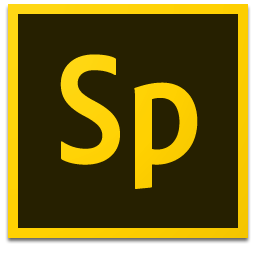 Want to create an Adobe Spark Video on the web? Just visit spark.adobe.com on any web browser. One of the fastest ways to produce a basic digital story is Adobe’s Spark Video. Whether you begin in a web browser or with their iOS app, you can quickly combine images and audio (though not video) for a basic digital storytelling project. Prefer to use Adobe Spark on your iPhone or iPad? If you’re using Spark Video for a basic media project, here are a couple suggestions to showcase your work. Make sure your images carry their full impact by making them full screen. When you create your first slide, click the Layout button at the bottom right of the photo rectangle and choose “Fullscreen Photo.” This change should carry over to later slides you add to the timeline. One important decision made by your theme is a default transition. Some types of PowerPoint-style movements between slides can be distracting, so you might choose a theme like “Slideshow” that just uses a simple dissolve between images.